Fallen Roof Ruin, with its dramatic roof and stone blocks scattered across the alcove floor, is a stunning Ancestral Puebloan site.The Ancient Ones made a living here for 12,000 years, inventing irrigation to grow corn, beans, and squash; ultimately leaving southwest canyons during a prolonged period of drought and food shortages. 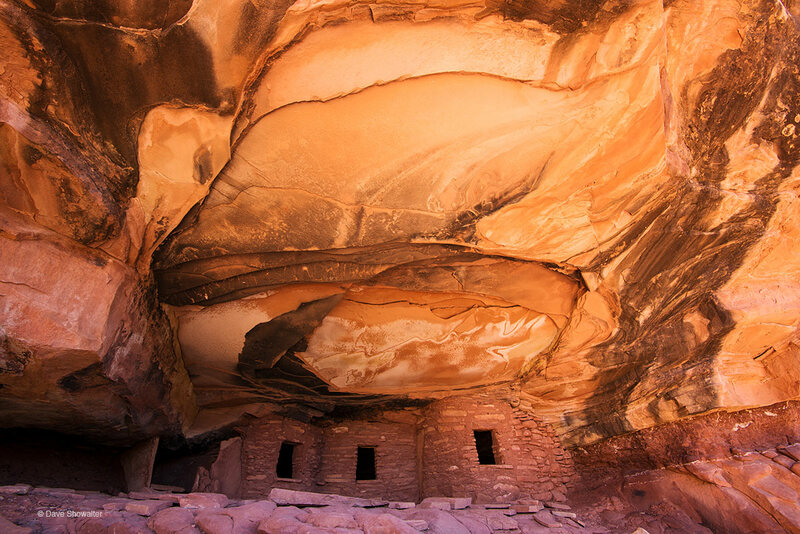 Bears Ears still holds the history of these ancient people, but for how long without protection? Photo © copyright by Dave Showalter.